China Thursday "commended" its close ally Pakistan for showing restraint after the Pulwama terror attack and urged New Delhi and Islamabad to refrain from aggravating the situation as Beijing weighed its options to take a stand on the fresh move in the UN Security Council to declare JeM chief Masood Azhar as a global terrorist. China on Wednesday despatched its Vice Foreign Minister Kong Xuanyou to Islamabad to defuse the Indo-Pak tensions. 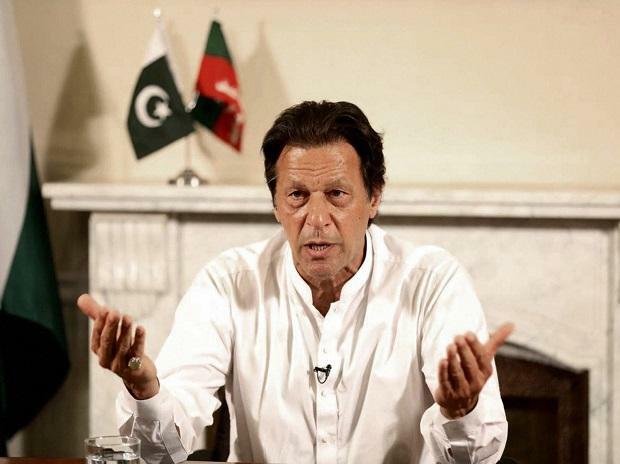 Kong held in-depth talks with Pakistan Prime Minister Imran Khan, Army chief Gen Qamar Javed Bajwa, Foreign Minister Shah Mahmood Qureshi, besides Foreign Secretary Tehmina Janjua, regarding the Indo-Pak tensions, Chinese Foreign Ministry spokesman Lu Kang told the media in Beijing. In Islamabad, Pakistan's Foreign Office said that both Pakistan and China reaffirmed their "time-tested and all weather strategic cooperative partnership". "Pakistan thanked China for its steadfast support. Vice Foreign Minister was briefed on Pakistan's efforts to resolve all issues with India through dialogue," the FO said in a statement. "He underscored that Pakistan and China are close friends and partners. He reiterated China's support to Pakistan for peace and stability in the region. He also acknowledged Pakistan's measures against terrorism," it said. Both sides noted with satisfaction the strong bonds in their bilateral relations and agreed to further enhance cooperation and coordination at all levels, the FO statement added. Kong's visit coincides with the US, the UK and French application in the 1267 counter terrorism committee of the UNSC to declare Azhar as a global terrorist. If listed by the committee, Azhar would face a global travel ban and asset freeze. JeM has already been banned by the UN. China thrice blocked efforts to list Azhar as a global terrorist by the UNSC by putting up technical holds. However, expectations are high that Beijing may take a different stand this time considering JeM has admitted its role in the Pulwama attack. Also, China's relations with India improved after the first informal summit between Prime Minister Narendra Modi and President Xi Jinping in Wuhan last year. In an interview early this week, Qureshi said the Pakistan government will consult all parties before approaching China while responding to a question whether Islamabad would request Beijing to veto the proposal to designate Azhar as a global terrorist by the UNSC. While Lu has not stated whether the issue figured in Kong's talks with the Pakistani leaders, official Chinese sources told PTI in Beijing that China is trying to work out a solution acceptable to both India and Pakistan to permanently resolve the issue. In his talks with Pakistani leaders and officials, Kong "stressed that China and Pakistan are all-weather strategic partners," Lu said. "We commend that Pakistan has been restrained and calm and tried to ease the tension. He also stressed that China believes the sovereignty and territorial integrity of a country should be upheld. We are not willing to see any action that is violating international law," Lu said. "China calls on both Pakistan and India to refrain from aggravating the situation, to uphold regional peace and stability through dialogue at an early date," he said, adding that China will continue to play a constructive role. He said, "Pakistan also appreciates China's unbiased attitude and Pakistan also stressed that it is not willing to see rising tensions. It is willing to resolve the problem with India and hopes that China and other members of the international community can play a constructive role in this process." Asked whether Kong in his talks with Pakistan leaders raised the question of terrorism emanating from Pakistani soil and the need to eradicate the breeding grounds of terrorism, Lu said, "so the major concern is the security situation in the region. Recently a lot has happened in this region and there are many issues. China has stated our position." "The first, the sovereignty and territorial integrity should be upheld. And as to specific issue like whether we believe, we should take positive measures to ease the tensions, so as to maintain peace and stability in this region. This is a general issue," he said.